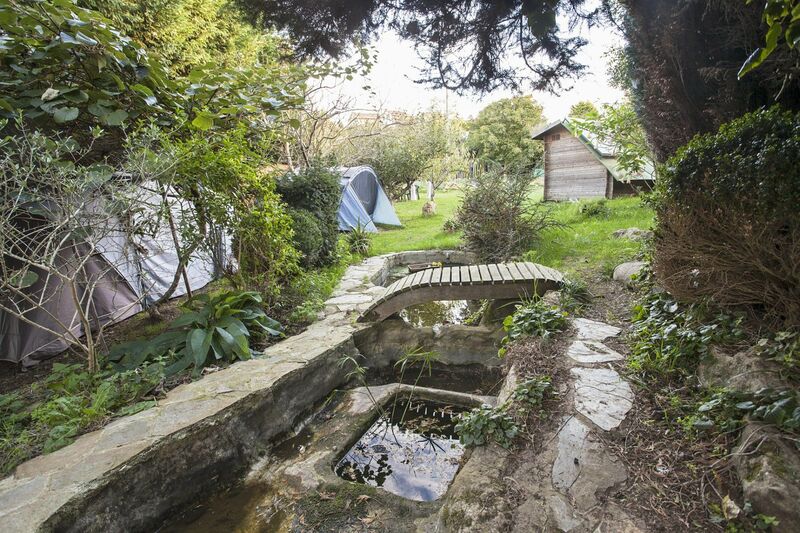 The camp includes a Zen garden, and a 2000 square metre private organic garden at the entire disposition of our reduced groups. 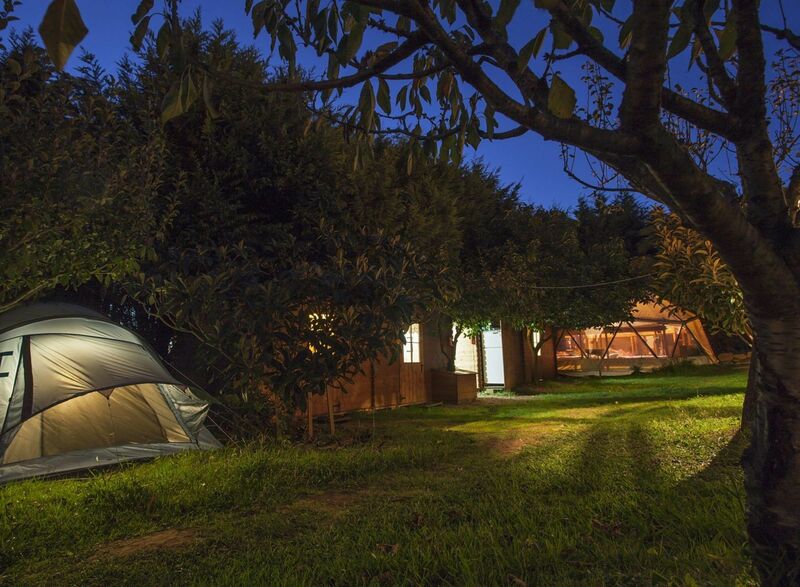 Throughout the camp you will find green areas available for your recreation. Moreover, our various accommodations all blend in with the surroundings. We have two large shared dormitories based on bioconstructions, the Domo and the Yurta, with 10 and 6 beds respectively. 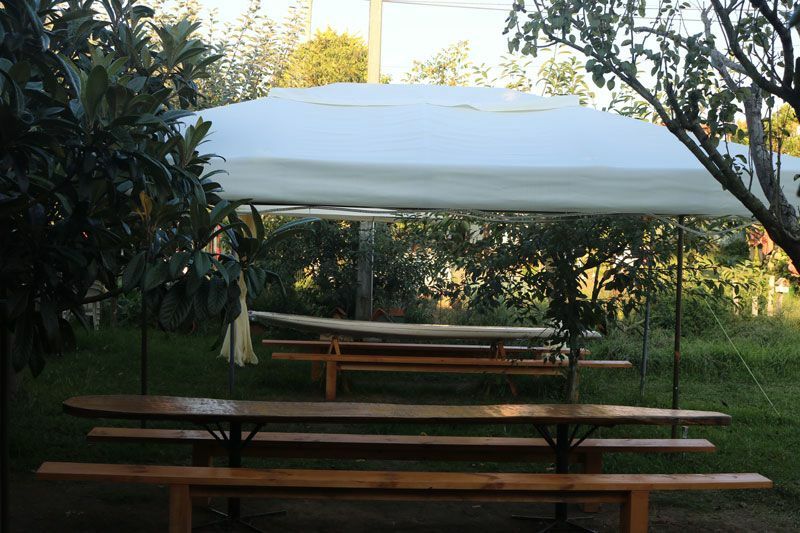 In addition, we have deluxe tents, with 2 private rooms and a shared wooden hall inside where you will find a table, a couple of chairs, a lamp and plugs at your disposition.. Finally, we have 8 squared meters wooden bungalows containing a double bed and two bunk beds. All accommodations have electricity, and enough space for your luggages and other packages. 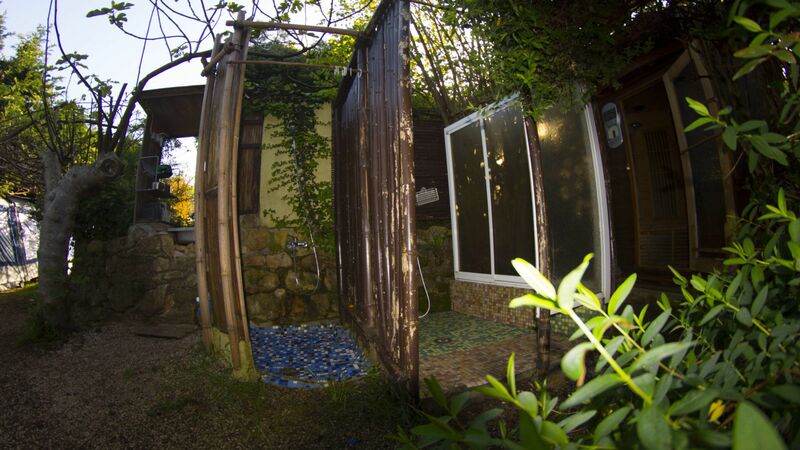 The common areas of the surfcamp offer a series of additional services. 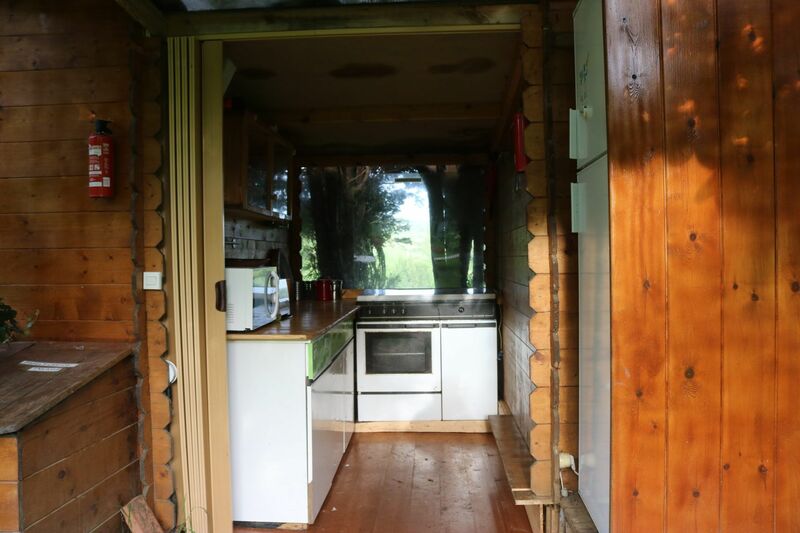 The shared kitchen has all the necessary equipment to make any dish, with a cooker, an oven, a microwave and two refrigerators. 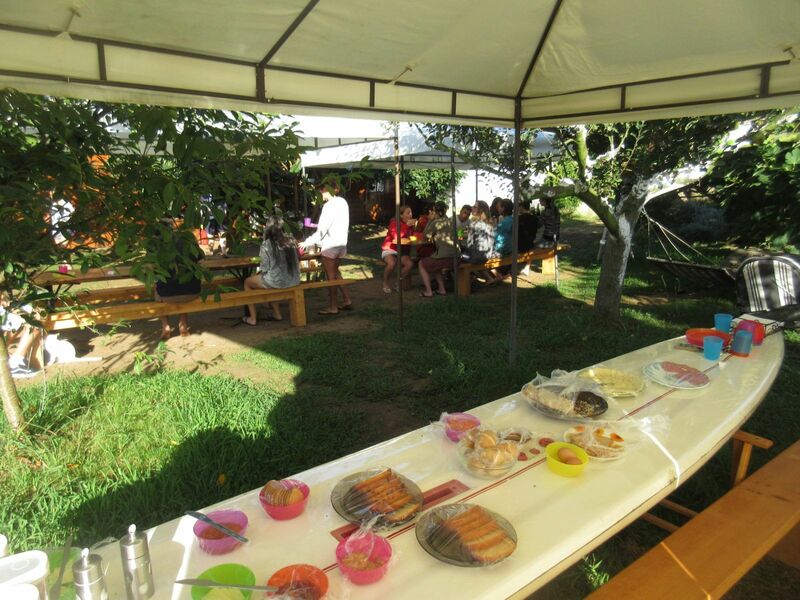 The dining area is composed of 4 large gazebos, big wooden tables (and a surf table) and benches. Our old-school barbecue is laid at your disposition are for making amazing dishes. 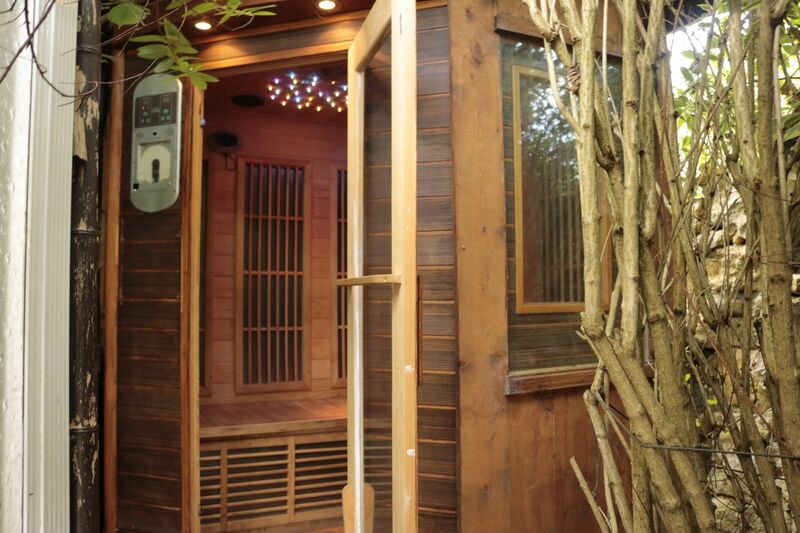 The dry sauna, for a maximum of 4 people, is perfect to use after surf lessons and even has a built in sound system. 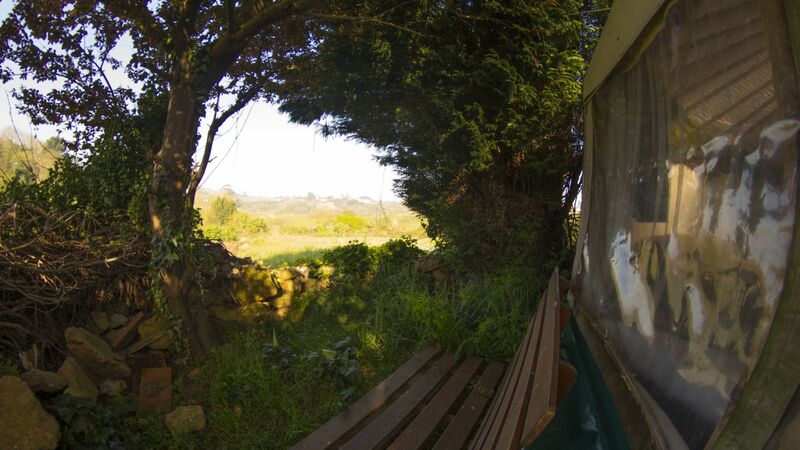 Finally, we have a small pond and a chill-out terrace ideal for contemplating, the beautiful green meadows of Cantabria with cave art from "the cave of witches" in the background. We have integrated bathrooms with indoor showers, as well as the original outdoor showers attached to the sauna to take a recovery-bossting contrast shower or a simple rinse after surfing with sunset views. In addition, we have a pylon for the sweetening of the surf suits after the courses. After rinsing, they will be left to dry in the air for proper maintenance. In addition, to complement the stay of the lodged, we impart relaxation and stretching workshops with our certified instructors. We also do outdoor film sessions and photo projections of the courses. Moreover we also have theoretical classes on how to read a wave, understand sea conditions, and get to know the different types of waves and materials that adapted to each level (only if there is availability and a minimum group is formed for these activities). Mountain bikes can be used in the different bike lanes and routes that we have in the nearby areas. 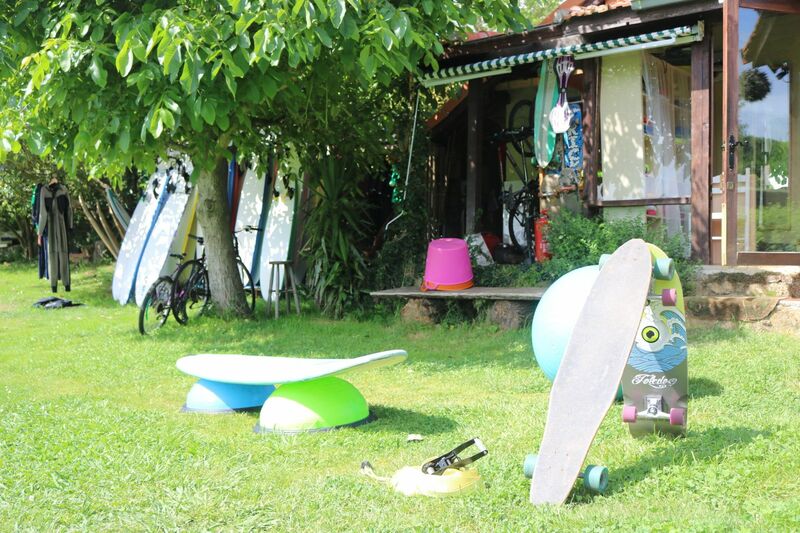 The indoor surfing material (slackline, longskates, indoboard, bosus) is used to improve your surfing on the mainland. With them, exercises are carried out to improve the balance on the board, to practice paddling and to start making turns and maneuvers. Finally, we have a surf library with videos, books and specialized surf guides. With this material we can see where to find the best waves, which are the main points in Europe to surf and get to know the different materials used in this sport. For the more confirmed surfers you will also find the technical descriptions of maneuvers and some precious advice for a better execution. We have high quality surfing material, with boards of different sizes and wet suits of all sizes, including the booties, to avoid feeling cold in the water. Finally, our instructors are all qualified with extensive experience in the world of surfing and the complex network of beaches in Suances. With their teachings, their warm and professional attitude, you will without doubt learn to enjoy the waves.